Satna City (Cement City) is the principle town of Satna District (सतना) of the Indian state of Madhya Pradesh, which shares a border with neighbouring Uttar Pradesh. 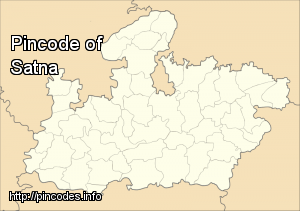 Satna - not to be confused with Satana - is a municipal corporation within Satna District, and houses the administrative headquarters of Satna District. Satna District is part of the region of Bagelkhand, of which a large part was ruled by the princely state of Rewa while a small part was ruled by feudatory chiefs, holding their states under the British Raj. Satna's name comes from the river Satna (or Sutna) that originates at Sarang Ashram (Sutikshna Ashram) situated near Sarangpur village of Panna district. The MP suggested asked farmers to employ shepherds for Rs 10,000 if animals were eating up the crops.